Many moons ago, I was a motorcycling correspondent. First for the Morning Star, then for The Guardian, and finally for the Daily Express. I even co-presented a BBC TV series called Sorry Mate, I Didn’t See You and I passed the Institute of Advanced Motorists bike test first go. It was never a full-time job — just something I hustled for and fitted in around my real job. Indeed, I hustled to sell the concept to three separate editors and then persuaded each of them that I should be the one to be their motorcycling correspondent. Bit of a dream come true, right? Behind it actually lay simple convenience: when I got my first bike, I lived right in the heart of London and clearly didn’t need — or want — a car. 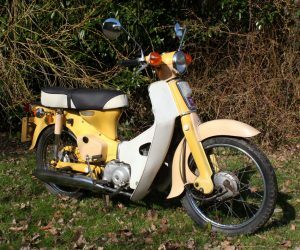 But I did work unsocial hours so I invested in a little yellow Honda C70 — who remembers them? — and took my bike test, which was absurdly easy back then. So far, so good — until the day I discovered why so many people wear leather when they ride a bike. I came around a corner straight into a pile of loose gravel and removed a significant quantity of skin from my legs and, particularly, from my right arm. I still have a small piece of gravel embedded in my wrist, as a reminder, nearly 40 years on. The experience did shake me, and from them on I began dressing more prudently, and — by now the Morning Star’s correspondent — began riding bigger bikes kindly made available by assorted PRs. Unsurprisingly, the C70 was fairly quickly abandoned for something a tad more powerful, the Honda CB200. 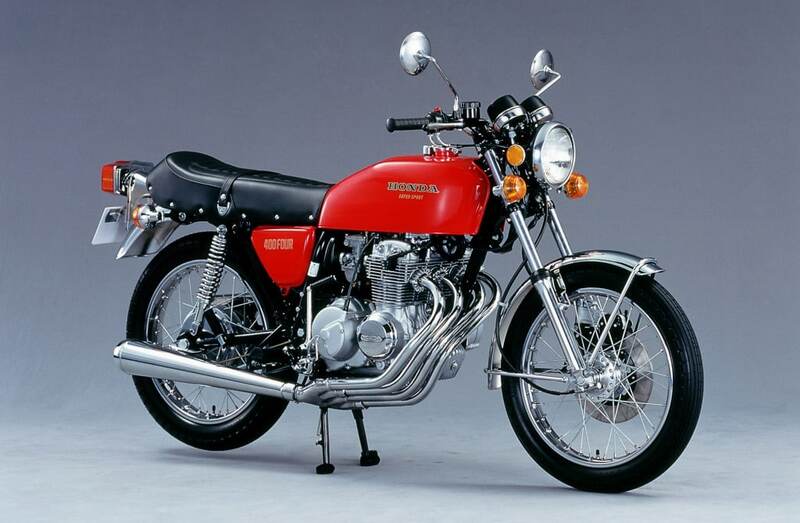 Bike #2: my Honda CB200 looked exactly like this! Now I loved that bike — it was great for London, it looked the part, and it was generally a joy to ride, but I was testing all sorts of gorgeous machines and soon began to tire, just a little, of my trusty friend. I wanted bigger. This was the era of the first monster superbikes, like the iconic 1000cc Honda Goldwing, and they weighed an absolute ton. The manufacturers’ PRs were all for me riding whatever I fancied (they loved the bike chick novelty and I was by now with The Guardian), but — having dropped my bike a few times — I did make it a rule that if I couldn’t pick it up unaided, I wouldn’t ride it. That ruled out the likes of the Goldwing, but I did push the rule to its limits: I test rode a few 650s, there were some 750s, and there was also my favourite: the sleek and smooth chrome fest that was the four-cylinder 400cc Honda 400/4. 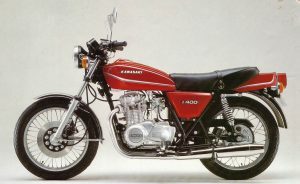 The Kawasaki Z400 — and again, I went with red. But when the time came for more ccs, I didn’t buy the Honda: I went with another 400c, the Kawasaki Z400. I test rode it extensively, I liked it, it handled nicely, it was fun and looked good. OK, it wasn’t quite as compelling as the Honda but it was also a lot less complex and easier to maintain, and the Kawasaki PR was happy to set up a clincher of a deal. No question, it was what I wanted at that moment, and it’s absolutely what I got. Except that every time I saw a Honda 400/4, my heart skipped a beat just a little — and annoyingly continued to do so even after I stopped riding my Z400 and hung up my motorcycling correspondent’s helmet forever. I stopped riding my Kawasaki, sold it to someone who would, and invested instead in my dream car, a Citroen DS23 (another story altogether). Absolutely no regrets — I loved my time as a motorcycling correspondent — but just very occasionally I do wonder what might have happened had I not got what I wanted and instead heeded the 400/4’s elegant call to my heart. 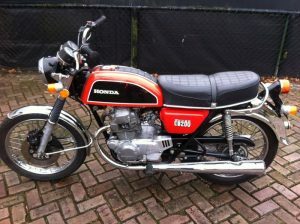 Main image: A Honda 400/4 — what would have happened if I’d bought this instead of the Kawasaki?